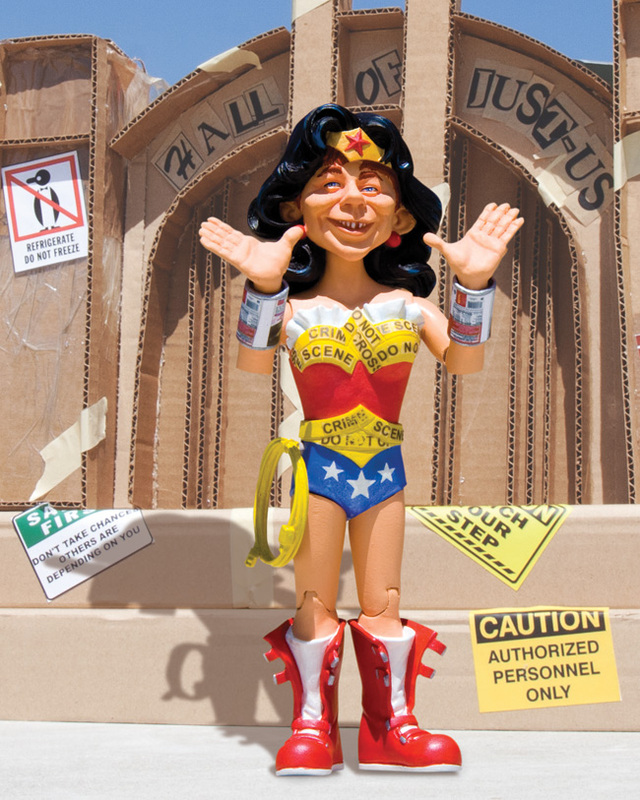 The dumb just keep getting dumber with the return of the "Just-Us" League of Stupid Heroes, featuring MAD Magazine icon Alfred E. Neuman in classic Justice League costumes! Timed to coincide with Mad's historic 60th anniversary, each figure features multiple points of articulation and stands 6" tall. 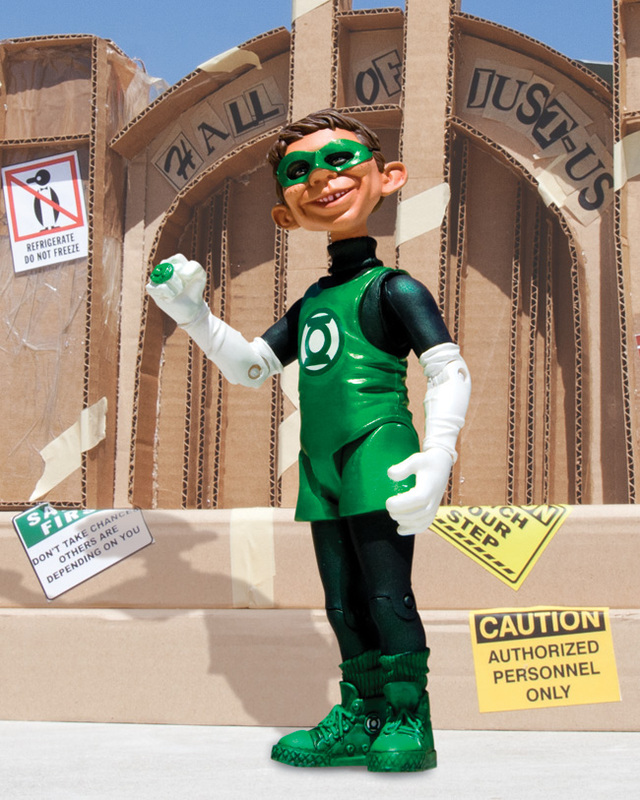 Sporting an all-new costume designed for the DC Comics - The New 52! 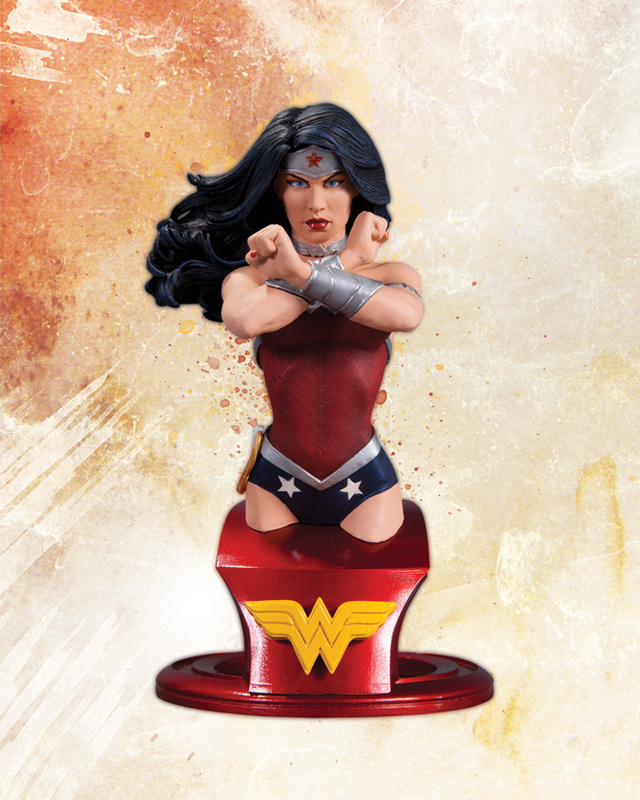 This expertly crafted bust features Wonder Woman poised for a fight - but don't fight the urge to order this now! Measuring approximately 6" high x 3.5" wide x 4" deep, this hand-painted, cold-cast porcelain statue is packaged in a 4-color box. The Dark Knight emerges from the rubble of Gotham City in the latest from the museum quality line of collectables! 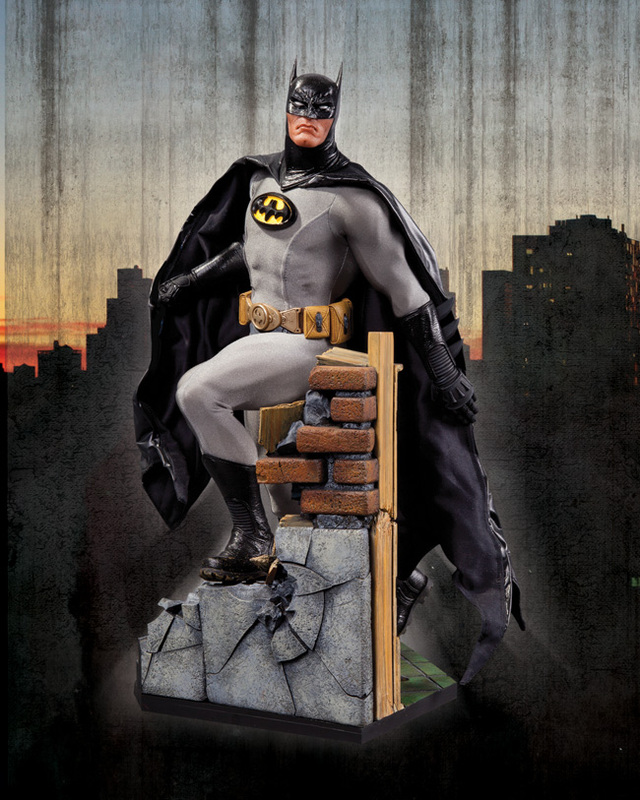 This immaculately crafted statue features Batman gazing into the heart of the criminal underworld and is an impressive addition to any collection! Measuring approximately 18.75" high x 9" wide x 11" deep, this hand-painted, cold-cast porcelain, mixed-media statue is packaged in a 4-color box. Sculpted by Jon Matthews. Limited Edition. April 13, 2012 - During a C2E2 panel today moderated by Geoff Johns, DC Collectibles revealed an exciting line-up of new products, including a new Dr. Manhattan BEFORE WATCHMEN statue, an all-new We Can Be Heroes 7-pack action figure set featuring the DC Comics - The New 52 action figures, and variant busts from The Dark Knight Rises product line. 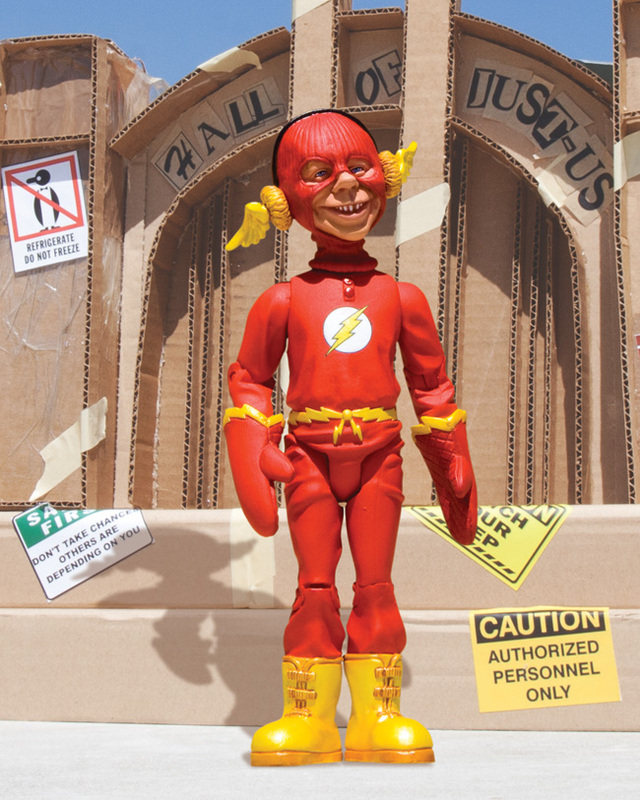 BURBANK, CA, April 11, 2012 – DC Entertainment announced today that its collectibles product line, previously known as DC Direct, has been re-launched with a new brand – DC Collectibles. 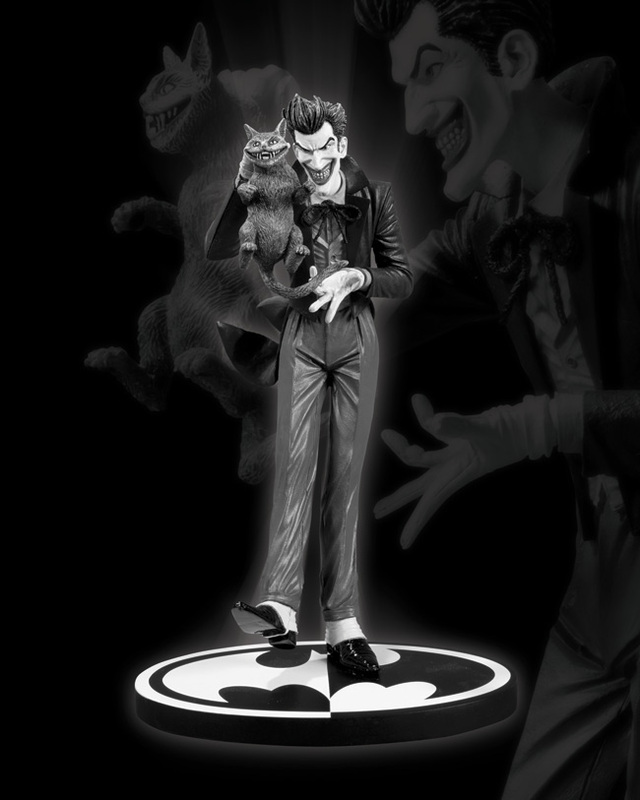 Additionally, in early May 2012 DC Collectibles will expand its online store (http://www.DCComics.com/Collectibles) to offer its entire product line for sale on the web, in addition to the line's primary availability in comic book retail locations. For those fans who prefer to purchase a product in-store, the website will also provide information on the closest retail location that carries a particular DC Collectibles product.